More than 50 million Americans struggle with arthritis: Three in 10 of them find that stooping, bending, or kneeling can be “very difficult.” One in five can’t or find it tough to walk three blocks, or to push or pull large objects. Grown-ups with arthritis are more than twice as likely to report fall injuries. 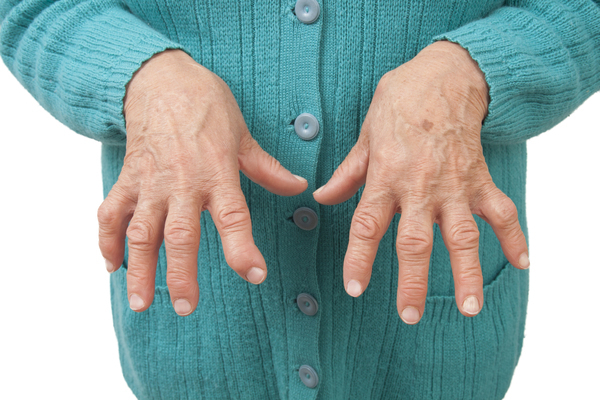 Arthritics have lower employment rates, and a third of them 45 and older experience anxiety or depression. So what to do about this leading cause of disability, a painful condition whose woes will only grow as the nation ages and already is responsible for $81 billion in direct annual medical costs? Experts from the Centers for Disease Control and Prevention recommend that those with the most common arthritis forms—osteoarthritis, rheumatoid arthritis, gout, lupus, and fibromyalgia—avoid a reflexive reach for pain-killing pills. Instead, they must keep moving. “Physical activity,” CDC experts said in a new study, “is a proven strategy for managing arthritis. …” It also “has known benefits for the management of many other chronic conditions” that also afflict those with arthritis—including heart disease, diabetes, and obesity. Although arthritis commonly is associated with seniors, the majority of adults with the condition, more than 32.2 million Americans, are younger than 65. Arthritis is much more common among women than men, and much less so among Hispanics and those of Asian descent that among whites. It afflicts those with a high school or less education more than those who completed college or higher. As the nation ages, the number of Americans with arthritis may soar to 78.4 million, and other reports say that gout, because of the cheap and easy prevalence of meat, booze, and sugar in the U.S. diet, is no longer a rich man’s disease and is increasing across age and economic groups. Arthritis typically is treated with non-steroidal anti-inflammatories, analgesics, and, in some cases, with prescription painkillers. But the CDC, which is struggling to combat an epidemic of opioid drug abuse, strongly discourages use of these powerful painkillers for arthritics. They could benefit greatly, instead, from health education programs in which too few of them (1 in 10) enroll. Classes, based on evidence, could teach them about movements to keep them from becoming sedentary, and increasing their risk and need for more significant interventions. These might include the 1 million, and increasing, knee replacement surgeries performed each year, often at government cost because the procedures can be covered by Medicare and Medicaid. Health education also could help arthritics with anxiety and depression, and by keeping them mobile, might bolster their job prospects, and cut down on the ravages of the other diseases and conditions that too often ravage those with arthritis, the CDC experts say. The common sense CDC recommendations seem sound to me. I’ve written how we all might commit this year to a more healthful, moderate course of exercise and diet, and I’ve offered experts’ ideas about managing chronic pain, and avoiding falls. I’ve written about rising challenges that Uncle Sam—that’s all of us, of course—confronts as Baby Boomers demand costly, complex, and extensive knee and hip procedures. Yes, there have been advances with these surgeries so they may seem less daunting than they once were. But like any medical procedure, they carry risk, pain, and inconvenience. In my practice, I see the significant harms that patients can suffer while seeking medical services, and if you can stay out of error-prone hospitals, cut your exposure to dangerous drugs, and keep away from doctors because you’re healthier, these can be a very good moves.